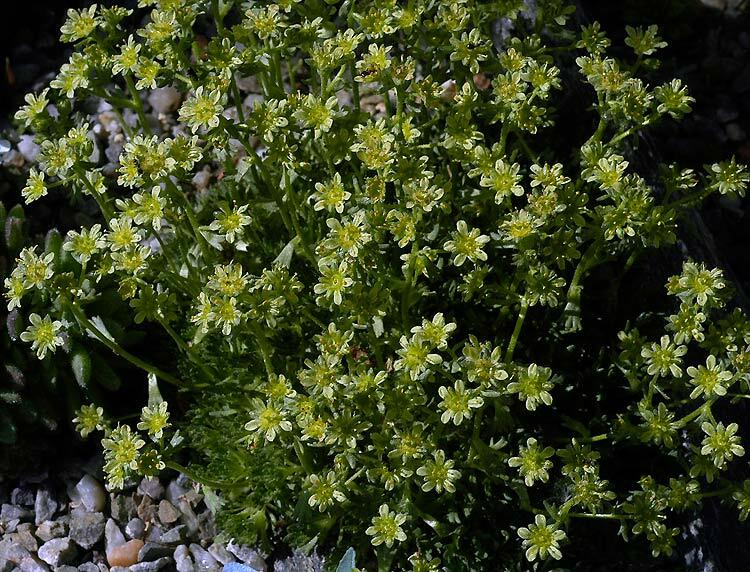 Saxifraga exarata ssp. moschata – This is an extremely variable species. It is found in rocks, screes and mountain slopes in the mountains of central Europe. I cultivate it in my rock garden, but it does not live long.